baby boomer generation, the free-wheeling economy of the 1990's stimulated a ground swell of demand for vintage Fender, Marshall and Vox amplifiers. This created the need for qualified electronic technicians with the talents necessary to restore these amps back to their original specifications. While many techs concentrated on the repair and restoration of vintage amplifiers, a few went a step beyond. Some of these techs graduated from amp repair to constructing "boutique" hand wired amplifiers based on vintage circuit designs. Chicago area amp enthusiast Mark Baier produced Victoria Amplifiers based on early "tweed" and "blackface" designs. Gerald Weber brought a Texas twang to familiar "pre-CBS" circuits with his Kendrick Amplifier line. Mark Sampson restored Vox amplifiers until he and his partners started Matchless. Another boutique amp builder from this period was Tony Bruno. Bruno specialized in hand wired amplifiers that evolved out of classic American "blackface," tweed" and British amp designs. Every Tony Bruno Custom amp was assembled and tested by Bruno himself. Only the finest electronic components were used, including CTS control pots, American made capacitors, new old stock resistors and premium tubes. Most amps featured "point-to-point" hand wired construction. Bruno was not satisfied to merely play each newly completed amp in his shop, he also personally tested each with a live band. 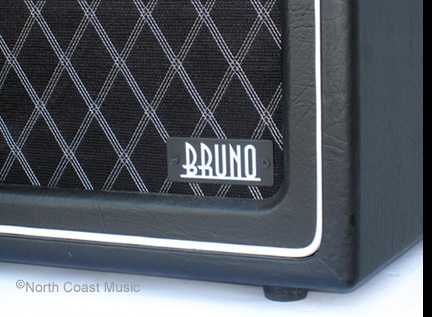 Bruno often made modifications and revisions to the circuits of a newly completed amp to further improve tone. The Tony Bruno Custom Amp line offered a number of models. The "Tweedy Pie" series was based on the circuits of early "Fullerton" tweed amps. The "Cow Tipper" series was inspired by traditional black face circuits. UK "Plexi" design concepts were incorporated into the 50 and 100 watt "Pony" series. The "Underground 30" and "Underground 30 10th Anniversary" amps expanded on the circuitry of the JMI Vox AC-30. with Vox on various projects between 2000 and 2010. Bruno collaborated with Mitch Colby of Korg USA on the development of the 2002 -2003 AC-30 Hand Wired Limited Edition amp series. Bruno also made contributions to the circuitry of the VOX Night Train (2009), AC30C2 (2010), AC15C1 (2010), AC30HW2 (2010) and AC15HW1 (2010). After years of collaborations, Vox offered Tony Bruno an opportunity to design an amp series that Vox would put into mass production. Keenly aware of his expertise in "tweed" and "black face" circuit design, Vox allowed Tony Bruno to design a Vox amplifier unlike any other. 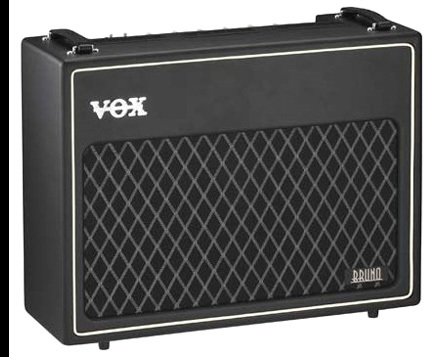 The Vox/Bruno amp would have an American accent. Prior to the development of the Vox/Bruno series, only three types of power tubes were found in Vox amplifiers. Amps in the four to thirty watt range used EL84 power tubes. The AC-50, AC-100, V100, AC-120 and V125 used EL34 power tubes. The high powered Vox UL Series models, including the 760 and 7120, incorporated KT88 power tubes. However, the Vox/Bruno Series would incorporate 6V6 output tubes, the same used in Fender Princeton and Deluxe Reverb amps. Tony Bruno designed and constructed a hand wired 35 watt prototype chassis for the TB35C1 and TB35C2 amplifiers and turned it over to Vox. The 35 watt Bruno design incorporated four 12AX7, one 12AT7 and four 6V6 tubes. Using the hand built Bruno prototype as a standard and tonal reference point, Vox developed a printed circuit board version of the amplifier suitable for mass production. Vox sent one of the printed circuit board versions of the amp back to Bruno for further tonal tweaking. Using his expert ears and tonal intuition, Bruno made further adjustments to the circuit. The amp was approved for production at Vox only after Tony Bruno was completely satisfied with its performance. The Vox/Bruno TB35C1 and TB35C2 featured an all tube driven reverb circuit. A three spring, long delay Belton/Accutronics reverb pan was mounted to the bottom of the cabinet. The Vox/Bruno TB35C1 and TB35C2 cabinets mixed the styling of a retro TV front cabinet with a Vox "split front" baffle. It had plywood top, bottom and sides. The baffle and backs were MDF. The cabinet was covered in thick, smooth black vinyl unlike used on any other Vox amp. The grill cloth was unique as well. It featured a black background with monochromatic silver/gray diamonds. The control panel featured rotary volume, treble, middle, bass, reverb and master volume controls along with switches for bass boost, "Macho", and power. An art deco font was used for the control panel nomenclature and baffle mounted Bruno logo. 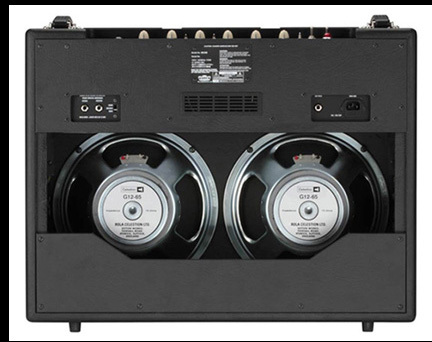 The amps were equipped with 12 inch Celestion G12-65 speakers. The tone of the Vox/Bruno amps is unique when compared to any other Vox amp. 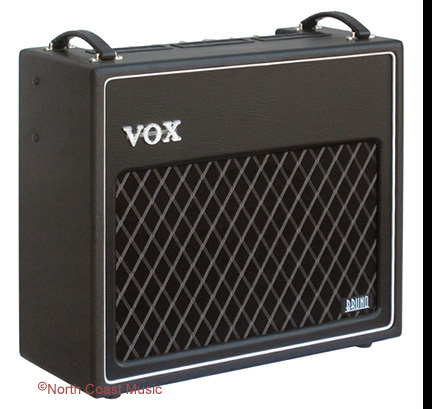 The amp has more clean headroom than traditional Vox amps in this power range, such as the AC-30. Country pickers will appreciate this increased headroom. The TB35C1 and C2 amps also had more low end than traditional Vox amps. 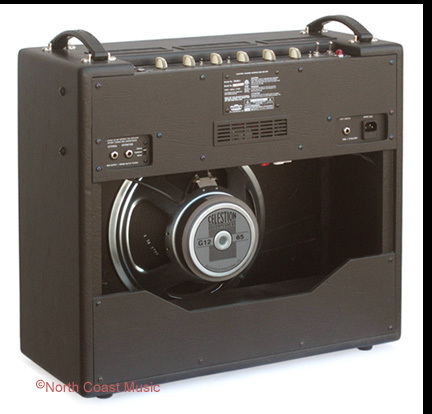 The added bass response comes from a combination of 6V6 output tubes and Celestion G12-65 speakers. When overdriven, the Tony Bruno amps are darker in tone than the typical Vox AC series amp, making it ideal for blues players. The TB35C1 measures 23.62" wide, 22.25" tall, 10.25" deep and weighs 64 pounds. The TB35C2 measures 27.4" wide, 22.25" tall, 10.25" deep and weighs 74 pounds. A single button foot switch for the "Macho" circuit and a cover were included. The serial plate for the TB35C1 and TB35C2 indicated that these models were made in Vietnam.